If you’re supporting a good cause on two wheels we’ve custom Cycling Jerseys to help you advertise it. The Tour Brings Retro Cycling Jerseys Out in the Daylight! Excitement is building in and around Cockermouth, Maryport, Carlisle, Penrith and Brampton in Cumbria with the prospect of the Tour of Britain Cycle race crossing the county in two stages of the race early in September. In bedrooms and attics around the county musty cycle shorts and jerseys are being reincarnated as the nation’s greatest cycling race heads for the county once more! Yellow bikes are appearing on buildings, the county council is issuing spectator advice (http://www.cumbria.gov.uk/tob2015/default.asp) and plenty of local cycling enthusiasts are out on the routes, trying them for themselves. Bike Tops Deliver a Charity Boost! Lightweight summer cycling jersey: women’s style. But it’s not just about racing or leisure riding. Cycling has become the basis of a massive influx of money to the charity sector through both sponsored rides & challenges including Lands End to John O’ Groats, London to Paris & a host of local cyclo sportives throughout the country. Cycling has rapidly gained in popularity – even in Cumbria where some of the hills might put off the faint hearted – and the team at Stitch & Print have a history of supplying options for team cycle jerseys, club sportswear and other personalised sports gear for both larger events like the Commonwealth Games as well as local clubs and event riders. This entry was posted in Sportswear and tagged Cumbria, cycling, embroidered, jerseys, printed on 26th August 2015 by admin. The new 2015 range of football kit from Joma has just been released & it’s got some great styles & colour ranges to make your team look premier league! As well as the full range of Football strips there are sections for Basketball, Tennis, Cycling, Volleyball, Training, Athletics & Running including a huge range of tracksuits & associated kit. But as you’d expect the emphasis here is on the Joma football range. As well as the ever popular Champion 2 & Champion 3 ranges there’s the well established Europa & copa ranges as well as a host of other regulars. Look out for the new Zamora goalkeeper strip which will run alongside the Area 4 option, It’s certainly going to make your keeper stand out in the box! We can supply full football kits at competitive prices complete with club badge, sponsors logos & shirt numbers as standard. But with Joma we have the ability to guarantee replacement strip availability if a player loses their kit or it’s damaged; In each kit line description there’s a guideline as to how many years that kit is guaranteed to be available in the range for. No more issues with 10 players in one shirt & the 11th having to wear “this seasons new design” as the one you’ve bought has been superceded. Lets be honest, football kit costs and getting at least 2 seasons out of one, especially for kids football teams, is a priority for a lot of clubs! Talking of kids football teams, there’s another huge advantage; They don’t stop growing! So if a couple of players shoot up in size we can supply extra soccer shirts, shorts & socks decorated with the same sponsors details as the originals for you. Looking like a team isn’t just about being on the pitch. Joma have a huge range of tracksuits, training & leisure wear in both fully coordinated kit lines & coordinated colour schemes to have your football team looking the part before & after the match. So take a look at the 2015 Joma catalogue & pick your kit for next season. Call us or use the contact form via our website, we’ll be happy to price everything up for you. This entry was posted in Leisurewear, Sportswear and tagged Cumbria, football kit, leisure, North West, schools, sports wear on 18th February 2015 by admin. Stitch & Print provide an extensive range of sportswear, in fact it is one of the largest sections of our web brochure. As well as a generic range of tops ideal for general sports we distribute a range of top quality brands designed for specific sports. Mixed in with our huge range of polo shirts etc. this gives us the ability to kit out both your teamwear & your general club wear as a complete package. We can provide sportswear for athletes, footballers, schools, racket sports, universities, golf, running and cycling clubs and much, much more. Cumbria is one of the best places for outdoor activities, and we understand that it’s important to have the best activewear to match! To get in instant quote or find out about our superb range please call or use the contact form on the website. High performance tops are available in a wide range of 30 colours, with everything from electric orange to arctic white & enhanced Visibility options as T-shirts & vests. These are ideal for gym & athletics as well as training. The enhanced visibility options include garments made specifically for cycling & running where you need to be protected in traffic. Contrasting colour combinations are available, which as well as being particularly popular with racket sports such as tennis and squash, are perfect for providing alternatives for small runs of club wear. A large proportion of these garments come in matching unisex, ladies & childrens sizes meaning you can kit out the whole club. 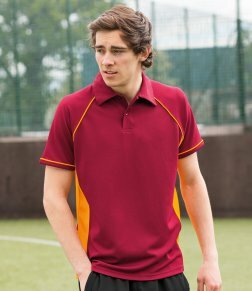 Polo shirts are a great way to look smart when you’re competing, but thicker cotton & poly-cotton blends polo shirts aren’t ideal for high intensity activities. There’s now a massive range in sportswear specific polo shirts made from both polyester & from the latest state of the art performance fabrics designed to both keep you cool & get moisture away from the body during activity. The options are all there, be it Zip necked cycling shirts, sleeveless vests for gym & athletics wear or long sleeved running tops for colder days or layering up under other garments. They’re all in the range & can be decorated to your requirements. The latest addition to this is a lighter weight polyester hoodie which has wicking properties that help get moisture away from the body but is ideal for layering up for cold weather training. As with the rest of the range there’s loads of colour variations to suit your needs. The importance for temperature control has became a lot more understood by manufacturers of sportswear & base layers are rapidly becoming an essential part of the outdoor sporting kit. With sophisticated fabrics designed to either raise or lower your body temperature for peak performance you can take your game to a new level & to help you we stock some of the biggest name base layer brands. We supply a full range of high quality cricket clothing from Surridge Sports & Duncan Fearnley, two of the oldest & best known UK brands for Cricket. As well as embroidered club badges we can add sponsors as well as player names & numbers to your kit. We supply Joma & Errea branded football kits, names you see week in, week out in UK & European football. 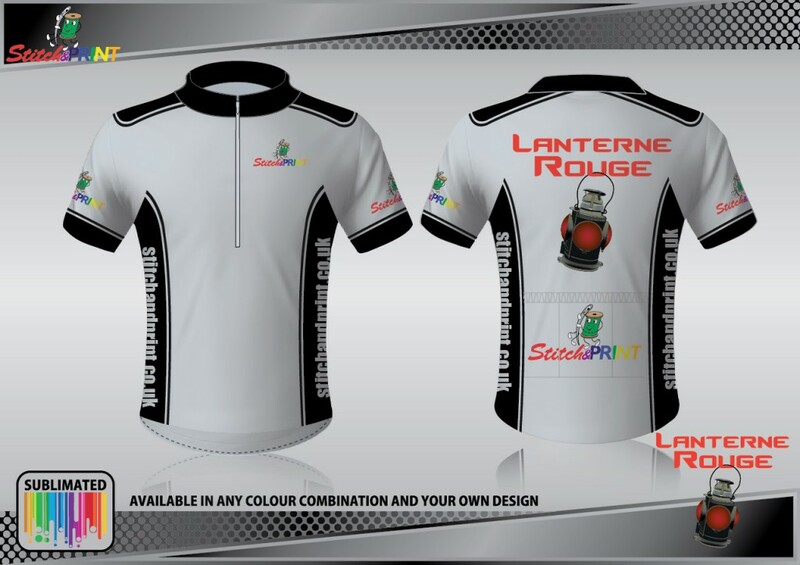 Both ranges have a wide range of strip designs in various colours including tops, shorts and socks. 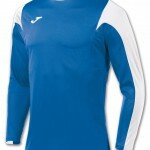 In house we can embroider of print club badges as well as print sponsor logos as well as player names & shirt numbers. Joma have a huge range of colour co-ordinated tracksuits & jackets to match their strips giving you the best look for your team. We supply a wide range of match shirts, training tops, hoodies, pants, shorts and bags designed specifically for rugby by specialist brands such as KooGa & Canterbury. Full match kits can be supplied in a range of fits to suit all levels of players. We understand that looking smart on the golf course, whilst being comfortable enough to play well is vital, and we stock a great range of golf gear. Glenmuir have a proud history in providing high quality jumpers, tank tops, and polo shirts for the golf course. Our Glenmuir golf range can be expertly embroidered to your specification. Stitch & Print also stock Sunderland water proof garments, an essential for keeping dry in the Great British weather! This entry was posted in Sportswear on 6th February 2015 by admin. Summer has been and gone, You’ve partied from Ibiza to St. Moritz and washed up on the Italian Riviera. But the days are getting shorter & everyones moving on, Put away your shorts & bikini, it’s time to pull out your Winter gear. You’ve got your ski’s (or your snowboard), You’ve still got a few Euro’s to spend on the apres ski. But have you got clothes for travelling? It’s time for your snowsport holiday! Create a Hoodie for Your Skiing Gang! If you’re looking for personalised hoodies for your Winter Sports trip you’ve come to the right place at Stitch & Print. Be it Ski or Snowboard that gets you on the piste we’ve hoodie designs to help you create your personalised style for your holiday. You can create your own hoodie designs via our hoodie designer decoration tool on the main website or you can take one of our pre-decorated hoodies & add your personalisaton. Logo’s can be put on the front, the back, sleeves; It’s your hoodie, lets decorate it your way! If you’re looking for a one-off top, a small group where they’re all the same or a group where each person has their own design, It’s not a problem! We have no minimum quantities and offer full flexibility to produce what you’re wanting. You really can create a hoodie your way! If you’re organising a larger group, be it a club, society, School or University ski trip we offer attractive discounts on bulk orders. Have a play with the hoodie designer tool on the website to get some ideas. Once you’ve got an idea, give us a call so we can look at the details with you and offer you our best price option. It’s about standing out on your way to get on the piste! This entry was posted in Hoodies, Leisurewear, Sportswear and tagged embroidered, hoodies, leisure, North West, school trip, skiing, snowboarding, snowsports on 5th November 2014 by admin. We’ve been road testing (quite literally), the Spiro Crosslite Trail and Track Jacket which is part of our sports-wear range. You can get some background on this hi vis cycling jacket and the wider range in our previous blog. SR185M Spiro Crosslite Trail and Track Jacket Product Review. Cyclist’s and runner’s lightweight waterproof hi vis jacket. Waterproof 5000mm. Windproof and Breathable 2000g. Full length zip with chin guard and inner storm flap. Two side zipped pockets with storm flaps and black trim. Folds away into belt pocket. We’ve been using this lightweight training or bike jacket for riding this autumn. So far we haven’t had downpours but in light rain & drizzle it’s been ideal. We’ve had no sign of leakage at the seams. The high neck guard & storm flap have turned away everything that’s been thrown at it. The zipped cycle pocket is a little smaller than ideal for gloved hands at this time of year but the zip does add to security & repels water! The front pockets, zipped again, are covered by storm flaps so no problems there either. There’s a vented area (and again it’s storm flap covered) at the shoulders which is ideal for keeping cool when putting some effort in. As usual with lightweight training / shower jackets of this kind care should be taken with the inner storm flap around the zip – it’s too easy to get it snagged when fastening. The “Saturn Yellow” finish helps to make this a very reasonable hi vis cycling jacket, always important at this time of year if you are on the roads in evening or early morning gloom. However, the reflective piping isn’t that visible for night time running, walking or biking. All in all a great cost effective solution for the active life style. Call us on 016973 43546 or use our contact page to send an enquiry. This entry was posted in Jackets, Product Reviews, Sportswear and tagged Cumbria, cycling, hi-vis, high visibility, jacket, leisure, North West, sports wear, waterproof on 18th November 2013 by admin. Now I know it doesn’t seem like it today in North Cumbria, but Summer, whilst not quite here, is on it’s way! We’ve had Snowdrops, the Daffodils are out & it’s time to get yourself out & about to make the most of the opportunities our warmer weather brings! Stitch & Print have a wide range of Sports wear; Rugby, Cricket, Football, Netball, Hockey but there’s a wider range out there suitable for the Gym, Running & Athletics as well as Biking. Sports Tops Alert! The Sun’s Coming Out! Biking, be it on the road, track or mountain has really hit the headlines over the last couple of years! Britain & British Cyclists have been tasting Tour De France as well as Olympic & World championship success. 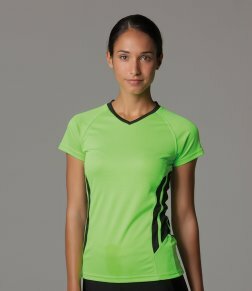 It’s sparked a surge in popularity of sports tops that work well on the sweaty body of the typical bike nut! At Stitch & print we have a range of shirts & Jackets suitable for both team & individual personalisation, perfect if you’re planning on trying your hand (well, legs really!) at one of the many cyclo-sportives being run around the country. If biking isn’t your thing, or maybe it’s only part of what you do you might like to take a look at our range of athletics vests & t-Shirts. Available in both unisex & ladies styles & fits we’ve a wide range of options & colour schemes. The Spiro range shown has co-ordinated shirts & jackets that will make your sports tops look professional even if you’re only doing casual fitness work. If it’s in the Gym or Squash court where you want to look smart while you do your thing look closer! We’ve a great range of sports tops & shorts incorporating all the latest advances in fabrics to make you as comfortable as possible so you can concentrate on your workout without being hindered or feeling clammy!. Take a look at the brochure on our website. This entry was posted in Product updates, Sportswear and tagged borders, Cumbria, cycling, leisure, North West, sports wear on 26th April 2013 by admin.